Grind coconut, jeera, green chillies and into a medium coarse paste. Cut raw jackfruit pieces to lengthwise, thin pieces. In a pan, cook jackfruit pieces with salt, turmeric powder and little water. When cooked. add the ground coconut paste. Cook well until the raw smell diffuses. 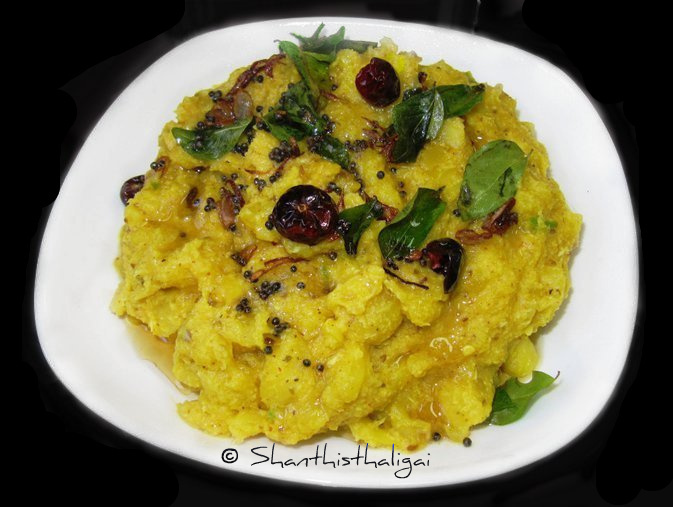 In a pan, heat coconut oil, fry mustard seeds, and curry leaves. Add to the mixture. Switch off the heat. Add thick curd and mix well. Serve with rice. Variation: You can also add dry red chillies and chopped onions to the tempering. Healthy and tasty looking avial. Excellent preparation. Chakka avial is a great speciality of Kerala - love the dish. Great preparation.